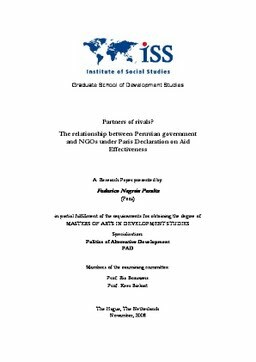 This research paper explores the causes and factors that can contribute to the recent breaking point in the relationships between government and Peruvian NGOs. The study also seeks to analyze the influence of Paris Declaration on these relationships. Finally, the document provides a balance about the advances and obstacles for implementing the Paris Declaration in Peru.